You’ve been busy. We have too. Over here at Key West Literary Seminar, we’re up to our necks in scholarship and award applications, writers-in-residence are coming and going, and we’re developing the Young Writers Studio for local high-school students, which will begin in 2018. (Those are our official excuses for the delay in getting this newsletter out. Unofficial excuses include various types of summer fun.) Read on for news from KWLS workshop alumni, award winners, and writers-in-residence. And one writer’s journey from KWLS attendee to published author. Support local & independent booksellers! Purchase any book highlighted here from Books & Books @ The Studios of Key West and get a 10% discount. Use code “KWLS18” at checkout. 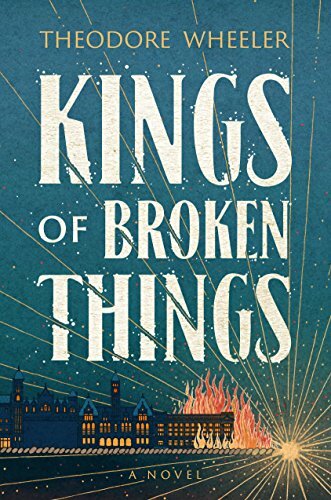 Kings of Broken Things is now available. 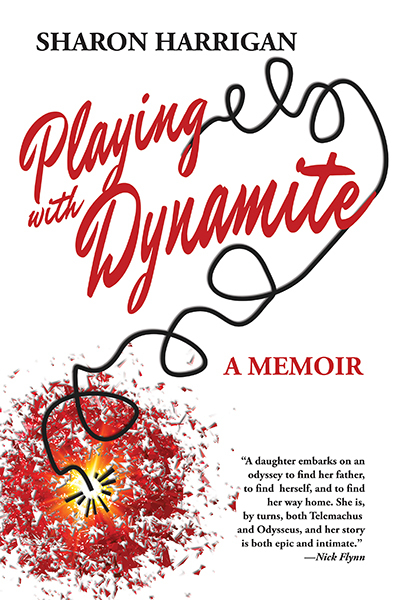 Playing with Dynamite is due out in October. 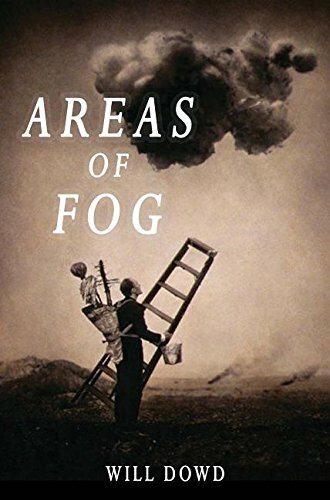 Areas of Fog is due out in November. Joshua Bodwell (2015 KWLS Marianne Russo Award winner) is currently working as the series editor for a three-volume edition of the collected short stories of Andre Dubus. The volumes will include new introductions by longtime KWLS collaborator Ann Beattie, as well as Richard Russo and Tobias Wolff. Ben Bush’s short story “Introverts” (discussed in Antonya Nelson’s 2016 KWLS workshop) will appear in the fall issue of The Iowa Review. Ben is the managing editor for McSweeney’s podcast, The Organist, from KCRW (NPR – LA). Donna Gordon’s story “Blood Moon” (workshopped with Dani Shapiro at KWLS in 2017) is forthcoming from Post Road. Beverly Tan Murray’s short story “Wynwood” (workshopped with Marie Myung-Ok Lee at KWLS in 2017) has been selected for publication in the Summer/Fall 2017 issue of The Southampton Review. Diana Khoi Nguyen (2012 KWLS Scotti Merrill Award winner) won the 2016 Omnidawn Open Poetry Book Prize, and her collection of poems, Ghost Of, is forthcoming from Omnidawn in April 2018. Elizabeth DeWolfe recently published an article that she pitched and outlined while in residence at KWLS: “More than a Congressman’s Mistress: Ambition and Scandal in the Life of Madeleine Pollard (https://muse.jhu.edu/article/661010) ,” The Register of the Kentucky Historical Society, 115 no. 3 (Summer 2017): 313-348. Elizabeth Engelman’s personal essay about her son Micah (workshopped with Dani Shapiro in 2017) was in the New York Times in May. Engelman was the 2017 KWLS Marianne Russo Award winner. Marie Myung-Ok Lee‘s (former KWLS writer-in-resident and 2017 workshop faculty) essay “J. Stands Up” was in the Paris Review in April. N. West Moss’s (2017 KWLS Workshop Financial Aid awardee) first book of short stories, The Subway Stops at Bryant Park, launched in NYC in May. All of the stories are connected to Bryant Park in midtown Manhattan. Kristine Simelda‘s (2015 KWLS workshop program) second novel, River of Fire, was published in 2016. Her third novel Nobody Owns the Rainbow, was workshopped at KWLS with Lee Smith, and is forthcoming. Amie Whittemore’s (2015 KWLS workshop program) first book of poetry, Glass Harvest, was published by Autumn House Press last summer. Paula Whyman’s (2013 and 2016 KWLS workshop program) first book, the linked story collection You May See a Stranger, was published in May 2016. It won the 2017 Towson Prize for Literature. Chelsea Catherine (2016 KWLS workshop program) won a 2016 Raymond Carver fiction award and was featured in Carve magazine. She was also nominated for a PEN Short Story prize. Cindy Simmons (2017 KWLS Workshop Financial Aid awardee) made the long list for the Leapfrog Press fiction contest for her novel Wrong Kind of Paper. Kristen Tracey’s (2015 KWLS workshop program) manuscript, Half-Hazard, was selected by the Poetry Foundation for the Emily Dickinson First Book Award. It will be published by Graywolf Press in October 2018. Jacqueline Trimble‘s (2017 KWLS Teacher and Librarian Scholarship winner) book American Happiness was recently awarded the Balcones Poetry Prize. Diana Khoi Nguyen (2012 KWLS Scotti Merrill Award winner) was awarded a residency at The Helene Wurlitzer Foundation of New Mexico, Taos, NM, for June – August 2017. Joshunda Sanders (2016 KWLS workshop program) was a writer in residence at Hedgebrook in February 2017. Suzanne Schoenfelt (2017 KWLS workshop program) was awarded a Cuttyhunk Island Writers’ Residency for September 2017. Paula Whyman (2013 and 2016 KWLS workshop program) recently completed a residency at Yaddo, and has been awarded a 2017 fellowship at Hawthornden Castle in Scotland. Flower Conroy (2015 and 2016 KWLS workshop program) was recently named Key West’s poet laureate for 2017. Sarah Cypher (2016 KWLS workshop program) entered Warren Wilson College’s MFA program as one of two Rona Jaffe Graduate Creative Writing Fellows. Laura Dohner (2017 KWLS Micol Ostow workshop) completed a Ph.D. program in Literary Translation at Binghamton University this past May. Beatriz Fernandez‘s (2016 KWLS Campbell McGrath workshop) poem, “Calle del Cristo, Old San Juan,” was chosen for display in the Arte Latino Now 2017 exhibit, at Queens University, Charlotte, NC this year. Kristine Mietzner (2017 KWLS Teacher and Librarian Scholarship winner) is facilitating writing workshops for women veterans through a collaboration between Veterans Connect and the Sacramento Public Libraries. Serena Richardson (2017 KWLS Billy Collins workshop) has a forthcoming music album, Some Imaginings, that consists of unfinished poems transitioned into songs. She also has forthcoming publications in The Cape Rock, Juked, and Third Wednesday. Please email updates to freya [at] kwls.org for inclusion in the next newsletter. Or, join the KWLS Workshop Alumni Facebook group and share your news there.